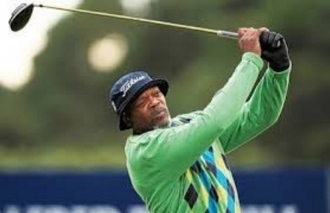 Samuel L Jackson is one of many Hollywood A-listers who love golf and are happy to play for sport and for charity. 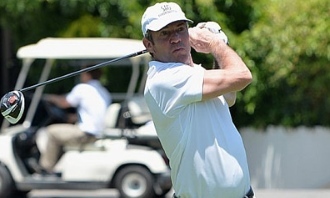 Famous for his roles in Patriot Games, Jurrasic Park, Pulp Fiction among others, you know that Jackson loves golf as he has a clause in his film contracts that allows him to play golf during production. Jackson has a 6 handicap and says that if he wasn’t golfing, he would be doing “destructive things.” He has played golf with Tiger Woods and golf legend Arnold Palmer. 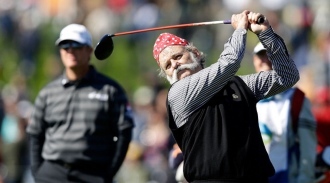 As grounds-keeper in the film ‘Caddyshack’ Bill Murray experienced winning the Masters, but in reality he truly is an avid golfer with an 8 handicap.